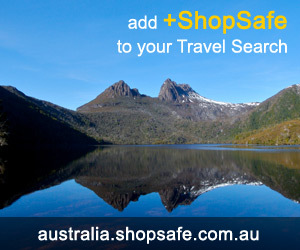 There are 9 shops in the ShopSafe USA MatchMaking Shopping Category. eHarmony matches you based on compatibility in the most important areas of life - values, character, intellect, sense of humor, and 25 other dimensions. christiancafe.com is a Christian dating service filled with thousands of Christian singles. It was designed to enable single Christians to connect with one another in a virtual cafe setting, from pen-pals to potential relationships. An online personals website for a more mature audience, generally 30+ focused on finding long-term, serious relationships and those who are marriage minded. MatchMaker.com offers a suite of communication tools to make the connection, expert dating advice, client success stories and much, much more. Match.com helps hundreds of thousands of people find love through their online dating service. Sign up and see how fun contacting other people in a no-pressure place can be. After all, emailing, IMing and winking is cheaper than dinners and drinks. The world`s 1st online speeddating website - live chat and webcam with singles for 5 minutes each, then vote if you`re a match! If you don`t like them, move on to the next! Over 11 million registered members to date! No boring profiles to fill out, just chat, flirt, and match with local singles. LiveJournal is a simple-to-use communication tool that enables you to express yourself and connect with friends online. You can use LiveJournal in many different ways, as a private journal, a blog, a social network and much more. You can share your thoughts and photos with your friends privately or keep a public journal for everyone to see. Spark Networks is a provider of online personals services in the United States and internationally. Their service helps people make connections and foster meaningful relationships. Mingles.com is a free online community where you can meet new people, make friends, find a new love, or just have fun. Thousands of online personals, singles, social networking, chat, boards, parties, and more plus it's free to contact other members of Mingles. All else failed? Let us help. If you want to see more MatchMaking here, please e-mail matchmaking@shopsafe.cc. Please do not change the subject line of your email. If the subject line does not contain "Add to ShopSafe Online Shopping" it will not be read.